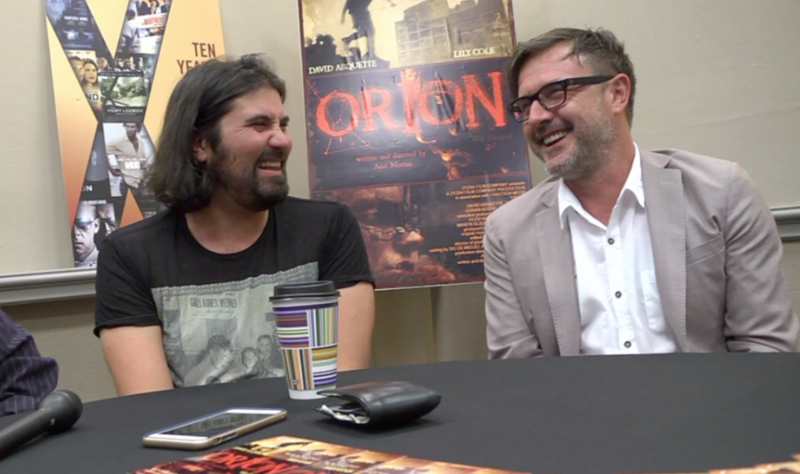 I had a very fun and lively interview with David Arquette (Scream) and director Asiel Norton for their new film ‘Orion‘ at the Dallas International Film Festival. We discussed making the post-apocalyptic film where Arquette plays a Hunter who rescues a Virgin and tries to save the world. After talking about the film for a little bit, I had to ask David about his career, and that’s where things got fun. It seems like David let out a bit of information that hasn’t been released yet, but we have it here. It seems that David Arquette is going back to the Wrestling Entertainment business, which is all sorts of fun. If you remember, David was WCW Champion for a little while, during his filming of the wrestling movie ‘Ready to Rumble‘. David wrestled with Diamond Dallas Page and Kanyon in WCW, and somehow became champion. I just had to ask about that, since we are big fans of the wrestling business here at Boomstick. He said, he loved watching wrestling as a kid and tries to keep up with it now as much as he can, which isn’t very much. I dug a little deeper and it seems that in an ***EXCLUSIVE*** here, Mr. David Arquette has pitched a character to the El Rey Network to be on ‘Lucha Underground‘ as a masked wrestling manager named El Baracho. His gimmick looks like he’ll always have a bottle of booze in hand, as he is managing ringside, and when things get to hot, he will bash the bottle over the opponents head. This just sounds like solid gold for the wrestling world. If you haven’t watched ‘Lucha Underground‘, I highly suggest you do. You won’t be disappointed. We also talk about his most thrilling music experience, and he dives into a story of when he was in a band, playing at the Viper Room. He also talks about his character on ‘Son of the Beach‘, which was Johnny Queefer and his one episode appearance on ‘Beverly Hills 90210‘, where he played Diesel Stone. It was quite the fun interview. 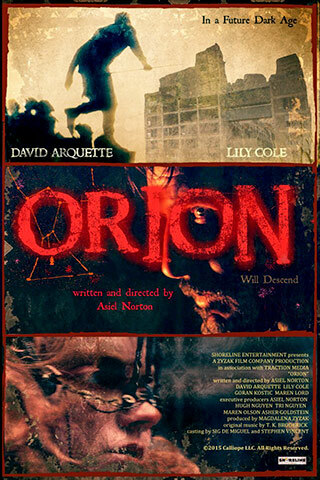 Be sure to check out ‘Orion‘ when you can and let’s hope we get to see Mr. Arquette back in the wrestling business! This entry was posted on Wednesday, April 20th, 2016 at 3:14 pm	and is filed under Film, News. You can follow any responses to this entry through the RSS 2.0 feed. You can skip to the end and leave a response. Pinging is currently not allowed. « Behold: ‘The Infiltrator’ Trailer is HERE!